This follow-up to the classic Futhark breaks new ground by applying current scientific theories on how magic works in traditional societies to the world of practical magic. 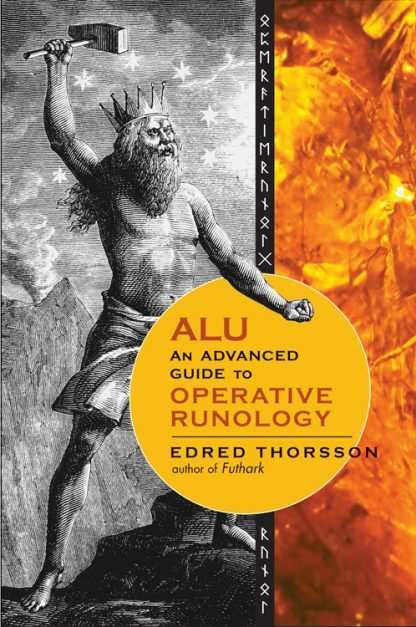 ALU, An Advanced Guide to Operative Runology contains completely new and fresh descriptions of all the individual runes based on traditional sources, rune-poems, Old Norse literature, and more. Thorsson, one of the most respected runic scholars living today, synthesizes the old and the new, the scholarly and the practical, and brings the use of runes in magical work to a new level in ALU, An Advanced Guide to Operative Runology.